I’m heading home soon for the NZ Post Book Awards. Some more talk about RANGATIRA: a review on Bookman Beattie‘s site; and a podcast with various people discussing the fiction finalists. The short speech I gave at the press conference about New Zealand’s programme as Guest of Honour at this year’s Frankfurt Book Fair has been posted online. You can listen to an excerpt from RANGATIRA – in English! – at the Listener’s Book Club website. And you can ask me a question about the novel here. I think it’s also possible to listen to my recent interview about the novel with Kathryn Ryan on Radio New Zealand. I’m flying to Frankfurt this weekend to take part in a press conference on Monday June 18th: it’s about New Zealand as Guest of Honour at this year’s Frankfurt Book Fair. I’ll be writing some blog posts for the Book Fair site in the months leading up to the big event itself, so will post links here when items are published. The NZ Book Council has published a handy round-up of reviews for RANGATIRA – you have to scroll down the page to see them. It includes links to TV and radio reviews. This doesn’t include everything to date, but it’s everything that’s available online. The first big interview I did for RANGATIRA is now available online at the Listener site. 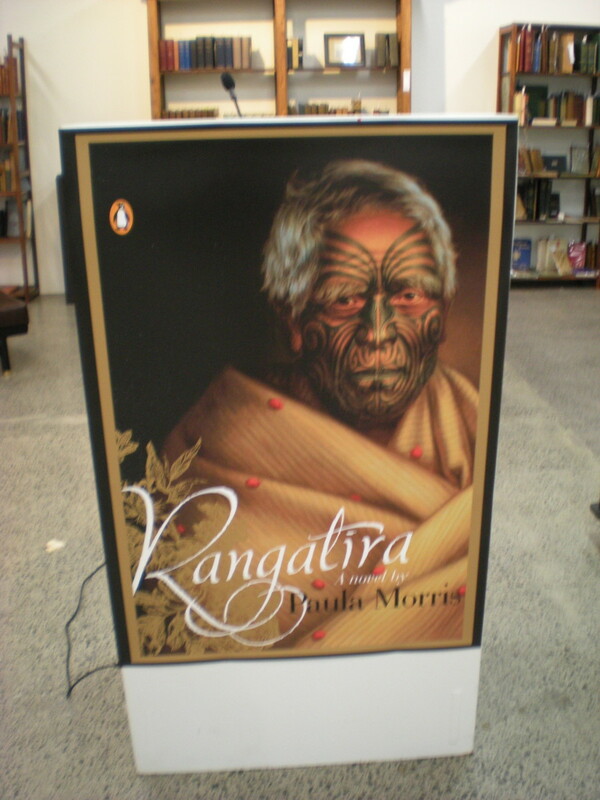 RANGATIRA, my fourth novel for Penguin NZ, is out today, after a great launch last night in Auckland. I’ll post more pictures from the launch on the blog (trendybutcasual.typepad.com) tomorrow. The novel has been chosen for the New Zealand Herald’s “Fiction Addiction” online bookclub, so you can join the discussion there this month. Very happy to announce an upcoming blog tour: this will include interviews, guest posts, top tens, reviews … Thanks very much to the Teen Book Scene for making this happen. Just a quick note to US reviewers wanting to get their hands on a copy of DARK SOULS: please contact tradepublicity@scholastic.com. For reviewers from other lands, I’m afraid that I only have one ARC left!